Ristretto > Blog > General > Branding Branding Branding! So, what’s the hype. We have found the branding of client’s logos on cups, has spiked interest from perspective businesses, and has created a bridge between client and consumer. 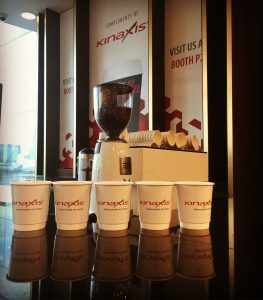 This great marketing tool allows all coffee cups at any specific conference or exhibition to be branded by your name, stand number and message. Use this innovative medium to bring more traffic to your stand and have that competitive advantage across the event. Let cups do the work for you.